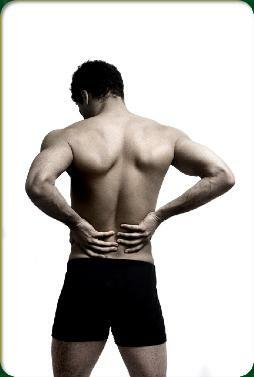 Many patients tend to suffer from lower back and neck pain. Patients tell us Osteopathy has helped alleviate the symptoms of neck and back pain. However we do not treat conditions as such, but rather we help your body to function easily, more comfortably and efficiently. Mind and body are never exactly in perfect harmony and to restore inherent rhythm to your body’s reality is the special role of the Osteopath. Sue is a 50 year old very active lady,For eight weeks now she has had severe pain in the foot between her toes.She describes the pain as sharp and stabbing.Her G.P initially diagnosed Gout. However medication did not solve the problem.Sue had an M.R.I scan of her foot and the result showed a large neuroma 4cm by 8cm in size.Mortons Neuroma is a common complaint in athletic people.Her G.P advised Surgery as the only option. We treated Sue by articulating the small bones and joints of her foot.We adjusted the spinal joints of her low back to align her spine and take pressure off the nerve going into her foot.On her fourth session she was 95% improved and nearly pain free. Mrs Schilling came to see me three times and by the fourth session she says she was !00% improved. CASE 3. Kathy is an editor for a prestigious Beauty magazine .She works long hours to meet deadlines and frequently exeriences stress, headaches and Migraines.Family problems at home don't help her as an individual .Kathy came for treatment for her Migraine.Over a few aessions I focused treatment on stiffness and tightness in her neck , trigger points at the base of her skull to relieve the venous congestion associated with Migraine.And decompressing her greater occipital nerve and treating her sinuses helped the Migraine to clear up. CASE 4. Ria is an experienced veterinary nurse and a keen horse owner.She rides often and recently noticed a pain in her low back.For several weeks she carried on thinking it would be normal again.When she started to experience shooting pain into her legs and pins and needles she came to see me .We started treating Ria for a probable lumbar disc prolapse.On one treatment occasion she said she had experienced a sudden urge to go to the bathroom.This is characteristic of a Cauda Equina syndrome.When the hospital checked her bladder they said the flow was normal.I advised Ria to go for an M.R.I herself. Ria had several bulging discs in her lumbar spine showing on M.R.I. disturbing her bladdder nerves .She had two operations for spinal surgery .Ria is now well and in a new job and happy caring for her horses. "You supported me throughout my surgery and throughout my recovery,I always recomend you to anyone I know who says thay have a bad back". Ria Sharman Burwell Cambridgeshire. Trevor is an experienced operator in a specialised factory making important components.Recently he started to experience a very sharp annoying pain underneath the sole of his foot.His job involves standing for long hours and this makes the pain considerably worse.He thinks the shoes he wears do not help.When we examined Trevor's foot he had an area of tenderness directly beneath his heel.This is characteristic of Plantar Fascitis. After this diagnosis we treated Trevor with deep friction manipulation and acupuncture directly over the painfull area.After a few sessions Trevor responded well and the pain went .Trevor said he has changed the type of shoe he wears at work and is now pain free . Norman Smith is a 65 year old gentleman .He has recently retired from running a Car repair servce.Over one year ago he began to experience a sharp pain in his upper arm and pins and needles down to his elbow.It disturbed his sleep and driving a car made it a lot worse.His G.P arranged an M.R.I for him.The result showed a broad based disc bulging posteriorly irritating a spinal nerve root at C6/C7. This was the reason for the pain and pins and needles.His doctor said there was nothing he could do except give him medication for the pain.Surgery was not possible . Norman's treatment took weekly visits for one and a half months.We gave him very specific exercises for his upper spine to give the tissues around the bulging disc a little room and encourage a better spinal posture. He says he is now 95% pain free and is happy with the result . Mr Milne is a retired RAF Navigator.He experienced a very painful area on the sole of his foot.After living with the pain for 6 months it reached a point where it was unbearable.Mr Milne was diagnosed with Plantar Fascitis.It took a course of six treatments to fully resolve his foot pain. Malcolm is an elderly gentlemam living in a local town.He experiences bilateral radicular pain into his upper arms from his neck area.It is a constant pain, waking him up at night and not relieved by medication.An X-ray revealed Malcolm has some Osteophytes and foraminal stenosis in his neck. Narrowing of tissues enveloping his spinal cord is pressuring nerves and giving him neck and arm pain.Regular treatment helps this gentleman. His friend and carer comments "The best experience our friend Malcolm has had in his search for pain relief,following a bad fall.This expert has his practice adjacent to March Railway Station.His treatment gave Malcolm a lot of relief at each visit.Obviously we are very keen to recommend Guru Singh to others as we find his skills and understanding of our health needs of outstanding benefit. Bettina and John Arundell and family .March Cambridgeshire.